With the lake at Herb Parsons completely full again, many places on the lakeside trail are very wet and muddy. 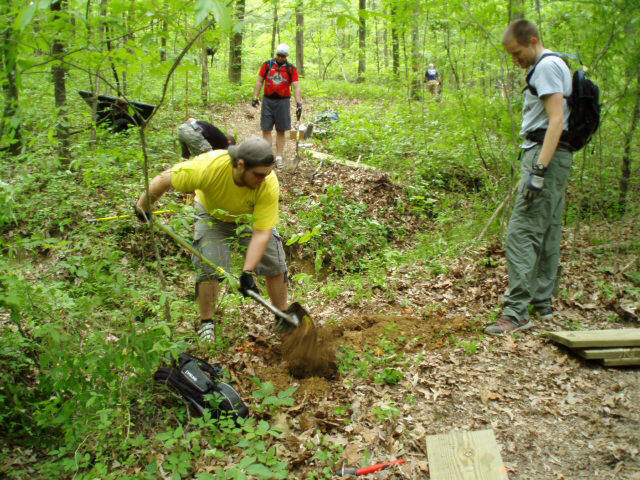 Steve K. and helpers scouted out some new routes to get the trail on higher ground and out of the mud. 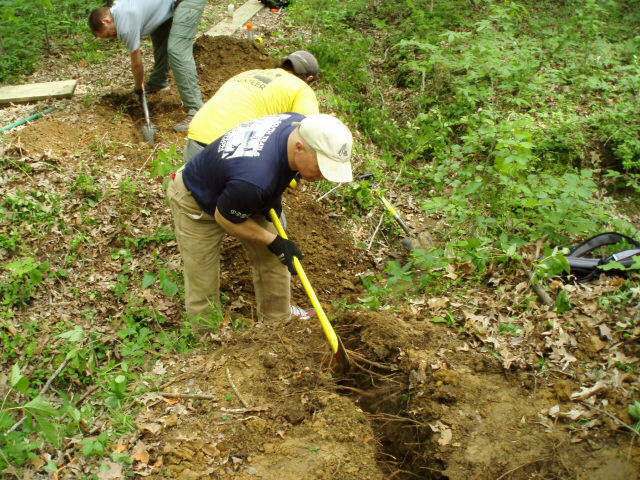 Other improvements were also made, such as placing some culverts in some usually wet places. The culverts were supplied by the lake manager Damon Boyce. 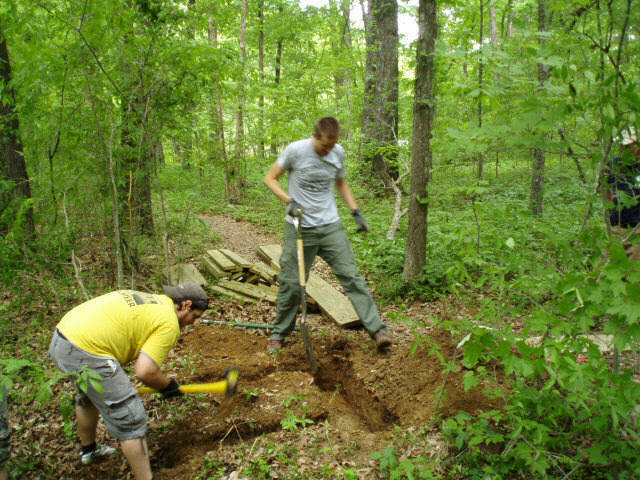 One location needed a bridge across a drainage creek to get the trail complete. Steve met Wildlife Technician Rick and they used a boat to take the precut bridge lumber near the site. On April 17, 2010, MSTA members met to install the bridge. 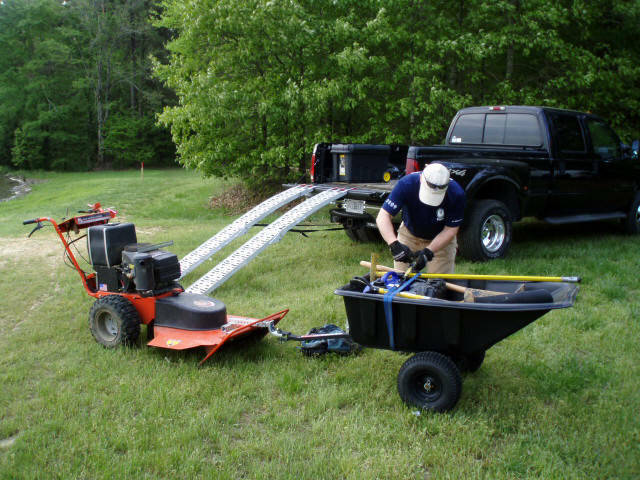 Steve came up with another accessory for the DR mower, this small trailer. 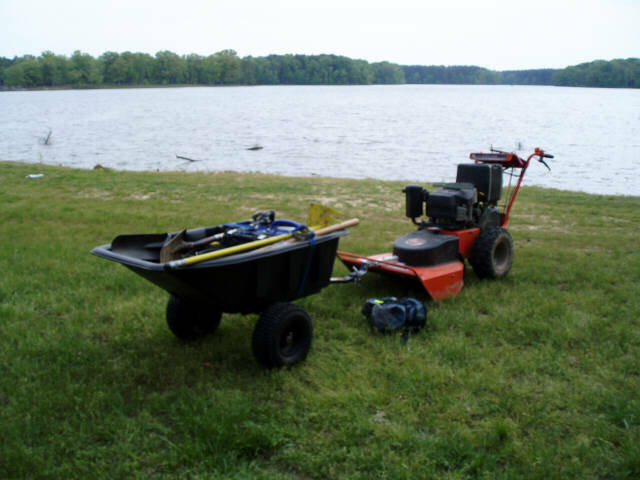 Steve rigged a hitch to the front of the DR and uses the 17 HP mower to push the trailer along the trail. At first thought it would seem to be an ungainly combination, but it is quite agile on the trail. Here is another picture of the loaded trailer ready for the trail. Here Jacob, Jerret, and Dan are doing excavation for a bridge footers. The footer is in place and the stringer notches are being dug. 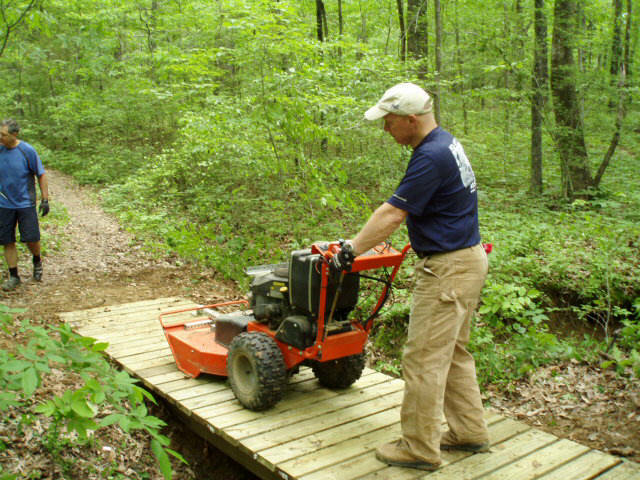 Steve K. doing a little non-motorized trail work! New MSTA member Dan attaching the two stringer boards to each other. Mark and Dan start attaching the decking. It is starting to look like a bridge. Steve checks out the completed bridge with the DR. It takes more than that to stress MSTA bridges.